The beauty of this system is that your data will be secure and there’s really no need to worry about installing software, which operating system is running or what platform you’re using. All your data’s encryption (AES 256-bit XTS) is done through hardware, thanks to the drive’s built-in secure microprocessor. It uses secure algorithms that encrypt the data and encryption key. It also has built-in mechanisms to protect itself from tampering and bypass attacks. And it’s all controlled from the drive with a simple PIN pad. The diskAshur drive series includes portable and desktop models that are hard-disk drive (HDD) and solid-state drive (SSD) based with capacity up to 8TB. My test unit was the portable 1TB HDD diskAshur2. Physically, diskAshur2 starts with tight seals on a solidly built case. It’s pocket-sized, not much bigger than the drive itself. It has a rubber finish, so it won’t easily slip out of your hand. It has a built-in pigtail USB 3.1 cable that tucks in and wraps around and the edge of the drive enclosure for easy storage. And there’s a small slot should you wish to attach a desk lock. It also comes with a compact carry case and wrist strap for added protection and portability. On the front face are three LED lights and a PIN pad. You can have up to three PINs. The Admin PIN gives you all-access privileges to the drive. The second can be configured as a User PIN, allowing access to read from the drive but not write to it. This can be handy to share documents or photos. The third is a self-destruct pin. If you’re forced to unlock your drive, this PIN will erase everything on the drive. To further protect the drive against brute force attacks, the drive will be frozen after five bad attempts. At that time, the USB cable must be reinserted and five more attempts are allowed. If entry is still unsuccessful, the users have five more tries (15 total) but must hold down the shift button when reinserting the USB cable. After five more unsuccessful tries, the system assumes it’s under attack and permanently deletes everything on the drive, including the encryption keys. So you better remember your PIN. Out of the box, the drive is configured with a default Admin PIN. I you forget the default, you can find it in the user guide. Of course, it would be smart to change it. If you do decide to change it to add a user or self-destruct PIN, the system has built-in protection for those who are lazy. Passwords must be seven to 15 digits. The system will automatically reject passwords that have all sequential numbers or are all the same. You can also use the shift key for additional digits. There’s a special sequence of steps to change a PIN, along with a series of LEDs to guide you. But make sure you keep the manual handy in case you need to refer to it. The PIN makes it easy to unlock but locking is just as easy. Simply push the lock button on the drive. It also auto-locks upon eject. Auto-lock can also be set to lock after a specified time of non-use. The unit is compatible with most devices that have a USB port. It works Windows, Linux, Android, Chrome, embedded systems and others (not iOS). It comes formatted for NTFS. If you want to use it on a Macintosh, you will need to reformat it but it’s easily done with the Apple Disk Utility. The diskAshur2 is well designed and highly recommended for those who travel, have their hardware in public places or are concerned about keeping personal or corporate data safe. In the event of a drive theft, your data is encrypted and brute-force attack controls make the drive almost bulletproof. Of course, there’s a risk you will forget your PIN or the internal controller fails, in which case your drive data will likely be unrecoverable. It’s important to know that if you have a newer device that uses a USB-C connection, you may to have to carry an adapter. And while the USB cable has a solid rubber finish, you need to take precautions. If you’re excessively hard on your cables and have a tendency to pinch the ends too much, it could become unusable over time. Still, I like its size and form, and the fact that everything is in a package not much bigger than the drive itself. Since my test unit was a 5400 RPM HDD drive, it won’t perform at SSD speeds (if you need SSD speed, get the SDD model). However, it does transfer at USB 3.1 speeds and it performed quite well against similar external drives even given diskAshur is encrypting and decrypting on the fly. To illustrate the fine detail this drive has, the keypad has a wear-resistant epoxy coating to keep hackers from identifying commonly used keys. 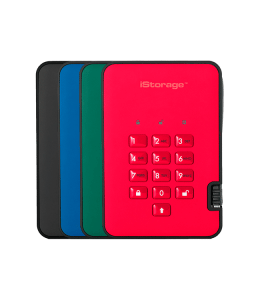 iStorage diskAshur2 HDD comes in red, green, black and blue. Prices start at about C$275 for a 500-GB drive HDD. SSD models start from $239 for 128-GB. 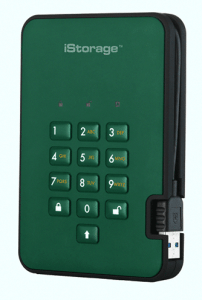 You can get them directly from Nuimpact (iStorage’s distributor) and Amazon. 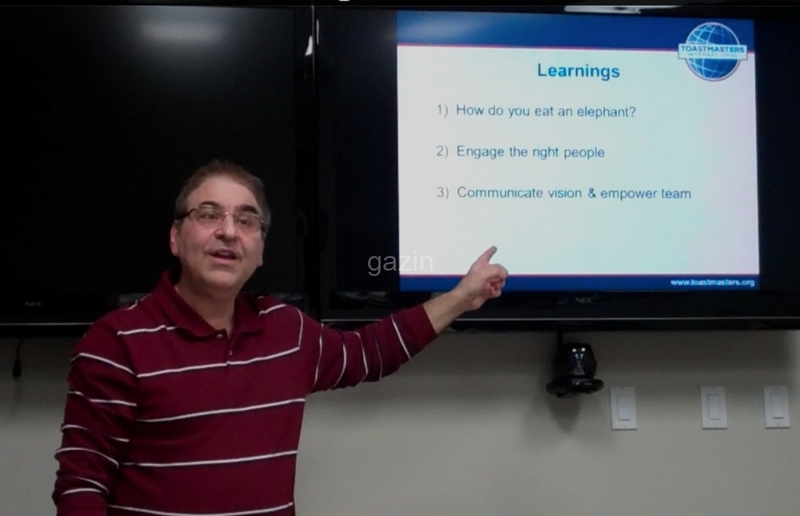 Troy Media columnist Greg Gazin, also known as the Gadget Guy and Gadget Greg, is a syndicated veteran tech columnist, small business and technology speaker, blogger, podcaster and author. Reach him @gadgetgreg or at GadgetGuy.ca. This Article also appears at Troy Media.